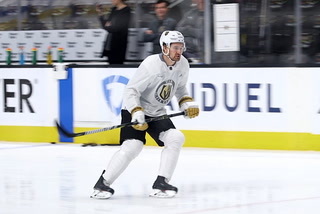 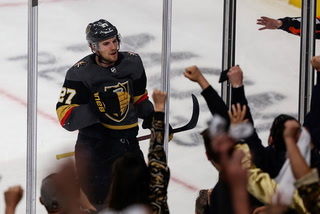 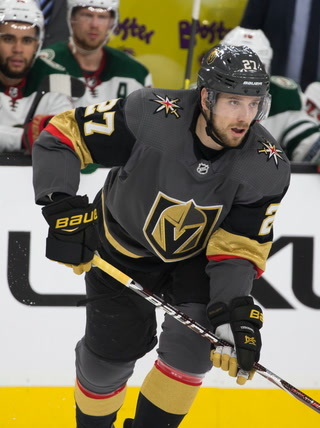 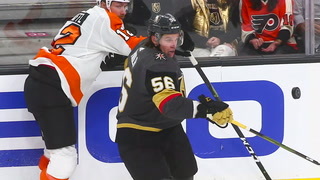 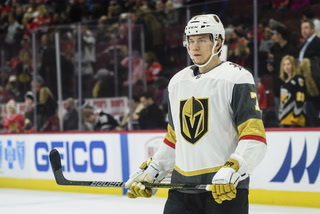 Knights' season ends, but accomplishments stand: Take a video tour through the Golden Knights' accomplishments in their inaugural season. 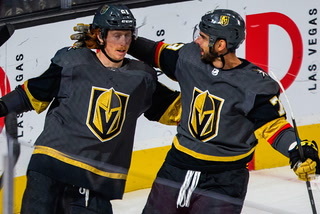 Make a little room in the saddle, Eddie Arcaro. 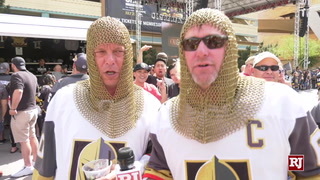 You’ve got company in sports history. 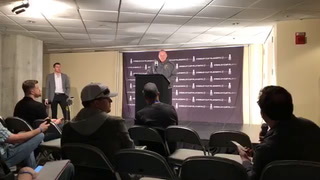 It was on June 7, 1941, that Arcaro rode Whirlaway to a 2½-length victory in the Belmont Stakes, the latter becoming the fifth horse to win the Triple Crown. 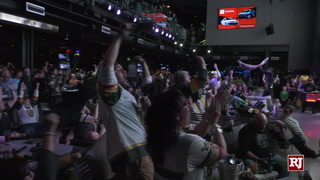 It is the sports achievement most associated with that day. 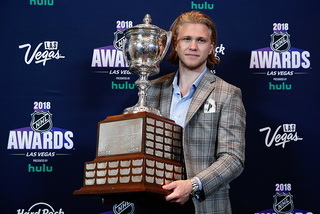 It’s likely there will be a new entry next year. 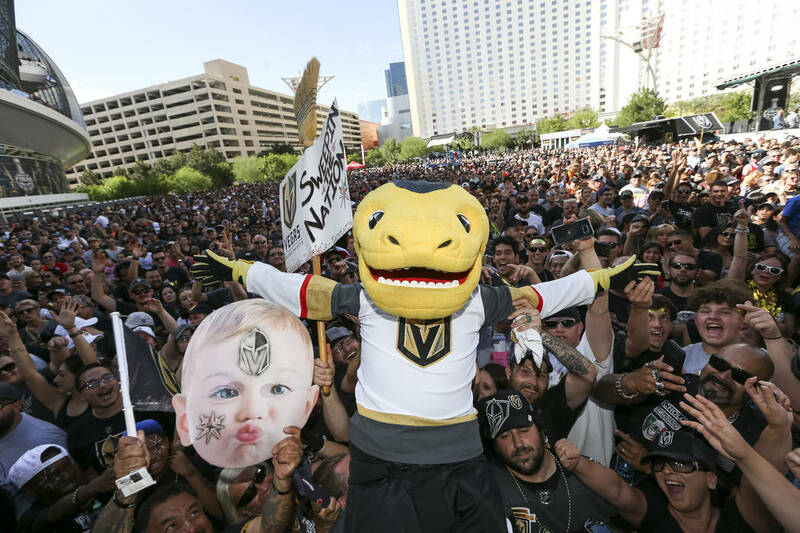 It will say on that day in 2018, the Washington Capitals defeated the Vegas Golden Knights 4-1 to win the Stanley Cup. 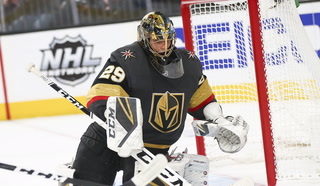 It might add that it was the first Stanley Cup championship in Washington’s 43-year history as an NHL franchise, and that the Capitals denied the Knights’ bid to become the first team in the major pro sports to win a championship in its inaugural season since the 1950 Cleveland Browns. 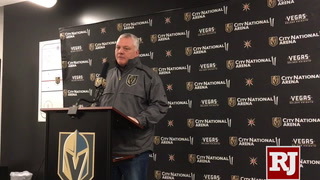 But that will only scratch the surface of the ice, at least in regard to how hockey historians and those of sports in general will come to regard the expansion Knights. 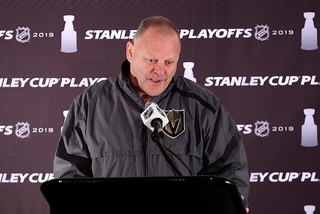 To use the vernacular of Washington coach Barry Trotz, the hockey gods have a long memory, and it will be a long time before they forget Las Vegas’ native hockey sons. 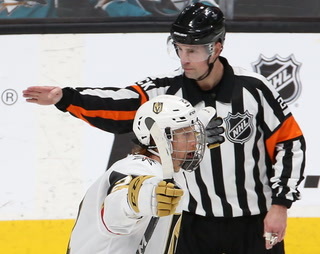 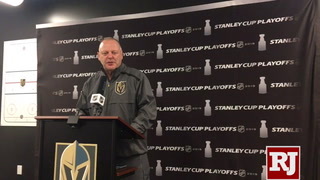 It was the morning after the Capitals ended the hockey season by defeating the Knights in a Game 5 thriller at T-Mobile Arena, and the good doctor said it may take a while for the “Go Knights Go” battle cry to subside from within his headset. 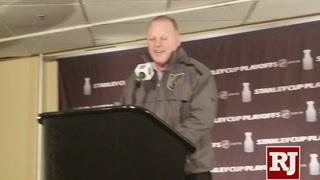 He spoke of how it was an old pal who assembled a new team that gave a grieving city something to cheer about. 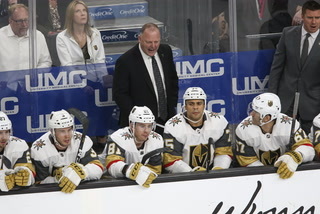 “I will always carry the memories of this series with me, not only because of the sound and performance on the ice in the arena, but that though (Vegas general manager) George McPhee and I were from different eras at Bowling Green, I have known him for over three decades,” Emrick said. 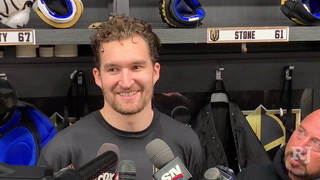 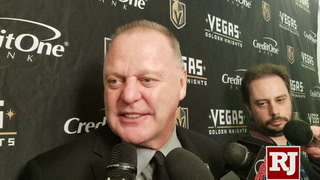 “I got to describe some of his titanic battles as a Rangers forward on radio, and then watch him construct the Capitals into a force in Washington, and then choose this incomparable group of Golden Knights. 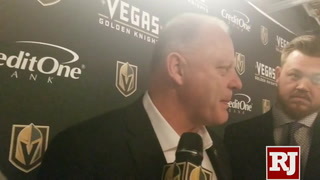 Emrick said it will impossible not to think of the Golden Knights in context of the mass shooting of Oct. 1 in which 58 lost their lives and how the two became intertwined, like tape on the blade of a hockey stick. 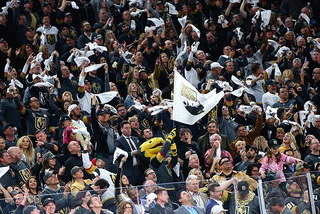 Although in the end the Knights came up a step short of totally standing the game on the earhole of its collective helmet, that didn’t preclude one of the city’s most effusive cheerleaders from picking up his megaphone and shouting hip hip hooray. 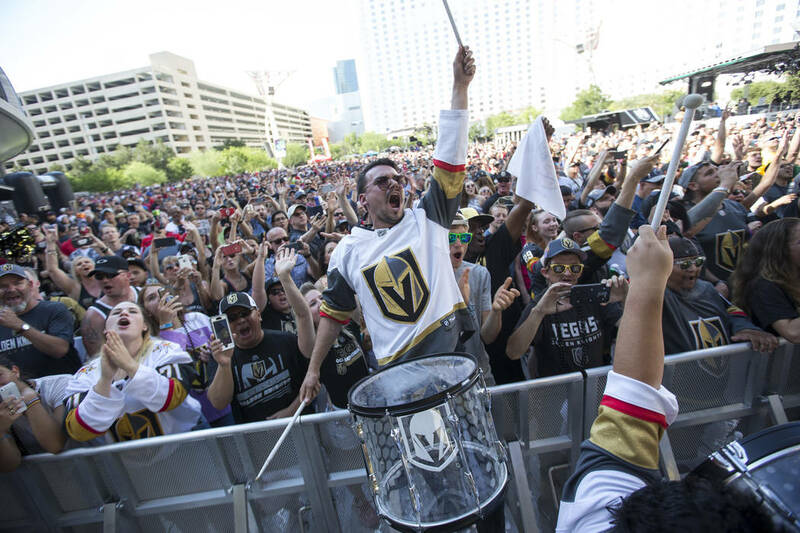 “It’s going to be remembered forever as the ‘Year of the Miracle,’” said former Las Vegas Mayor Oscar Goodman, who started beating the drum to bring the NHL town in 1999. 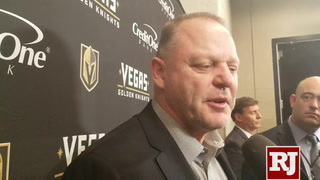 He and his ever-present showgirls visited with Gary Bettman in his New York office that year to gauge the commissioner’s interest in Las Vegas as a future NHL market. 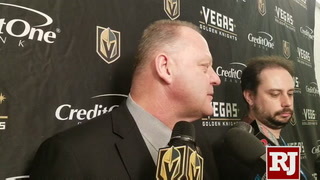 Goodman sensed genuine enthusiasm from Bettman. 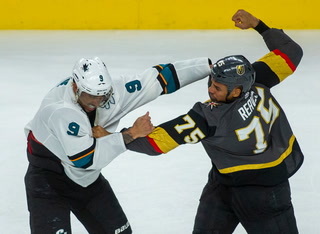 But there wasn’t a suitable arena in Las Vegas then, nor a deep-pocketed potential owner such as Bill Foley. 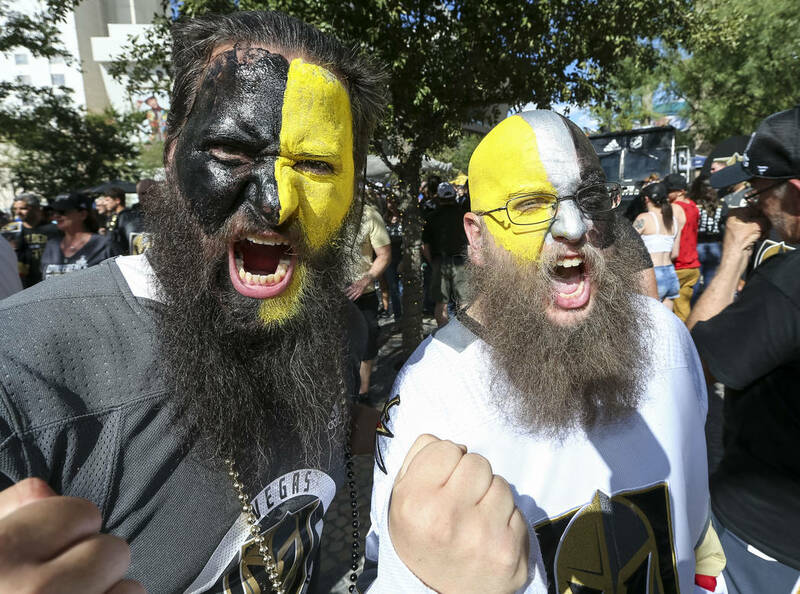 The NHL was not considering expanding then or in the foreseeable future; none of its teams was looking to relocate. 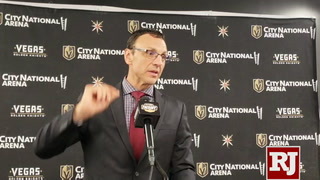 But true to his name, and unlike his NBA and NFL counterparts, Bettman did not have concerns about Las Vegas being a haven for legal wagering on sports. 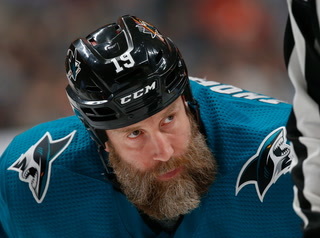 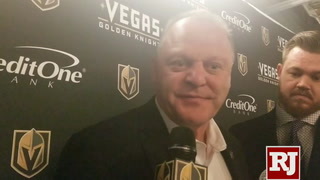 Goodman, who is from Philadelphia, said Bettman’s open mind and vision helped the Knights achieve what it took his hometown Flyers many seasons to accomplish, albeit with a slightly different playing style. 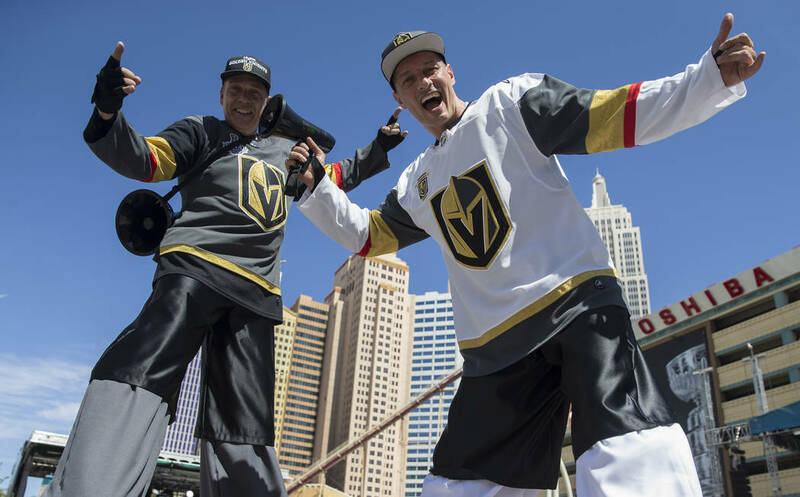 Michael Green, an associate professor of history at UNLV and a longtime observer of Las Vegas history, said he hasn’t seen such pride and passion in and for a local sports team since Jerry Tarkanian’s Rebels’ basketball teams, who ran their way into four NCAA Final Fours and the 1990 NCAA national championship. 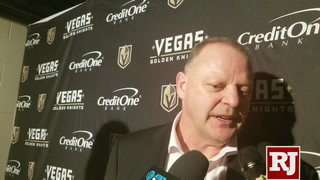 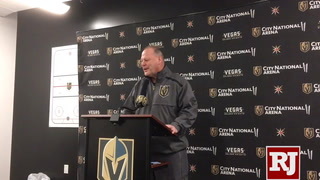 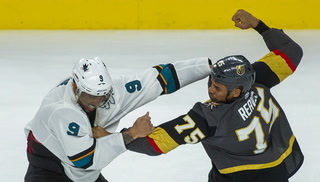 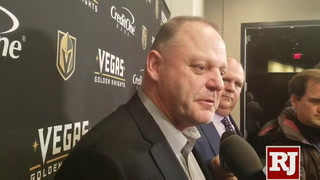 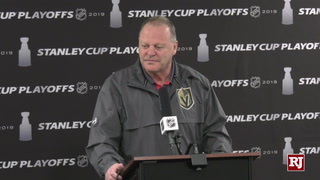 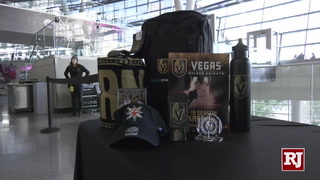 “The Rebels were riding high and wide, but bear in mind this was a smaller community then,” Green said about the place the Knights will hold in Las Vegas’ sports history. 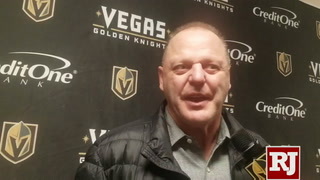 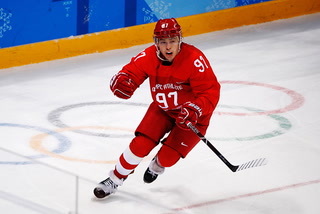 “The excitement you sense in a community of more than two million has really been surprising to say the least, and to me the surprise is that it is hockey. 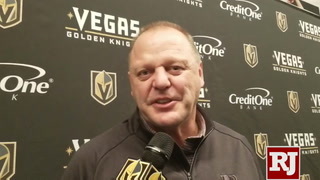 Green spoke of the Knights being the only freshly minted team to make it to the finals of their sport on their own merit as opposed to say, the NHL’s 1967-68 St. Louis Blues, who played in a division consisting only of expansion teams, one of which was guaranteed a spot in the championship round. 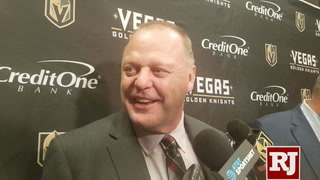 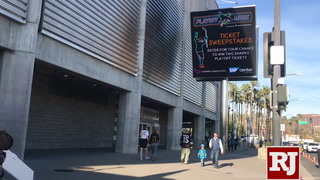 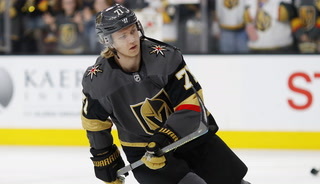 “In terms of sports history, the Knights may make it a little easier for other (expansion) teams,” Green said, adding that the franchise will not only be remembered for what it accomplished, but also how it went about it. 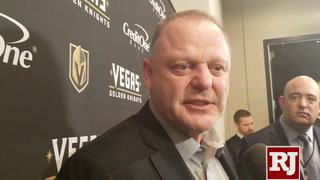 Logan said the success of the Knights bodes well for the NFL’s Raiders, who will be relocating to Las Vegas in 2020, and an NBA team, should one follow the WNBA’s Aces to town, as has been speculated. 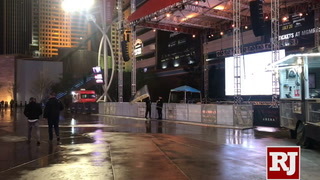 And maybe even someday it may lay down chalk lines for Major League Baseball, too. 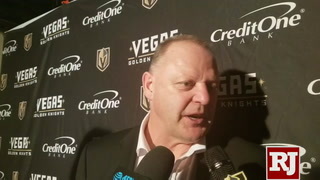 “The only downside of that, is that (the Knights’ success) has created a monster,” Logan said. 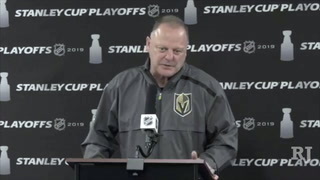 That’s something the Washington Capitals, who finished 8-67-5 in their inaugural season, were not able to do. 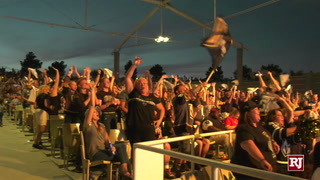 But though it took 43 years for the Caps to cop the Cup, their fan base by and large remained resolute. 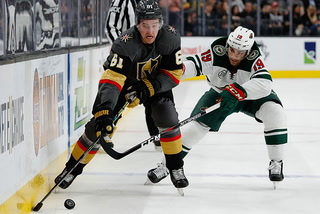 When the peaks of being a major league city turn into valleys, will a city with a dubious history of supporting losers remain bullish on major league hockey? 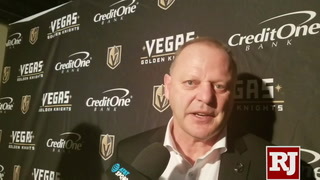 Logan said if out-of-town fans continue to follow their teams to town as Knights’ opponents have, the margins for financial solvency are more easily attained. 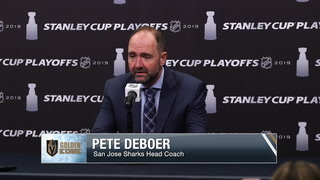 “One of the things you certainly have to like is (fan support among) visiting teams and the great impact they’ve had on attendance,” he said. 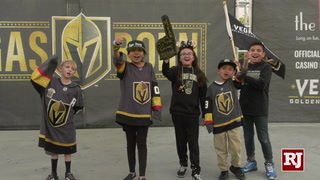 That opinion is shared by others and should make for a smooth transition for the Raiders, given the following they have developed during an itinerant past. 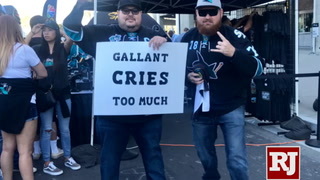 You know you’ve had a memorable first season when they make a beer commercial to commemorate it. 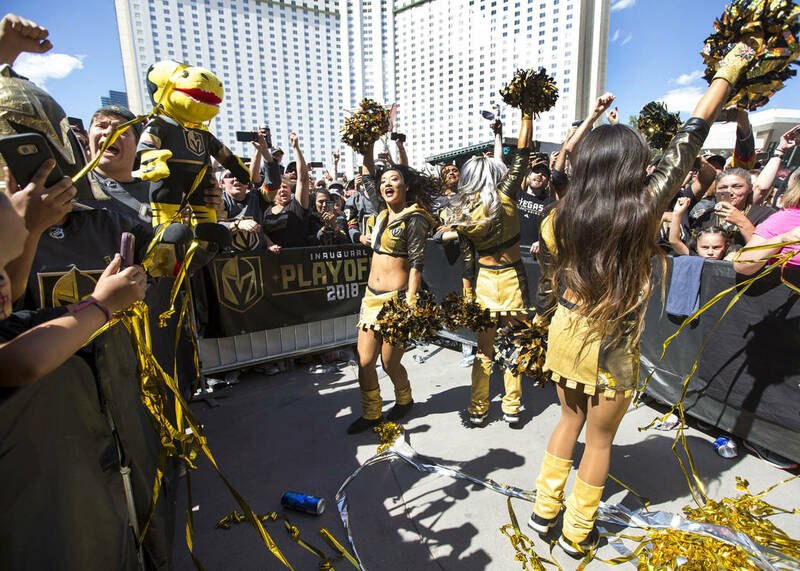 After the Washington Capitals ended the Golden Knights’ season with a 4-3 victory in Game 5 of the Stanley Cup Final on Thursday night, a Budweiser ad honoring the team’s debut season was released on the beer giant’s social media network on Friday. 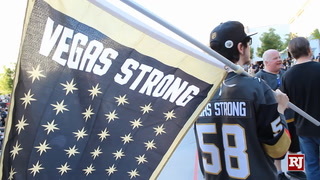 The two-minute tribute ends with an inspiring message.